Now this really is something special. 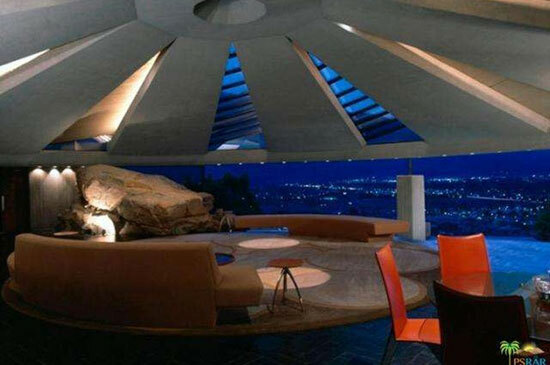 Remember the James Bond movie Diamonds Are Forever? If you do, you’ll no doubt remember Willard Whyte’s mansion appearing in it. 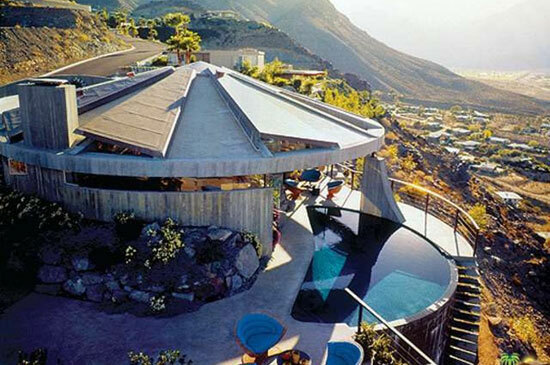 Of course, that was fiction, but the house certainly wasnn’t. 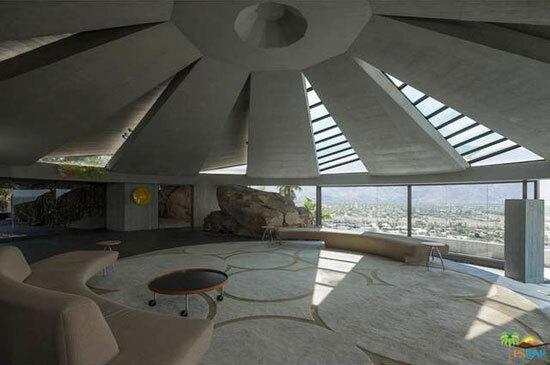 That house was the 1960s John Lautner-designed Elrod House in Palm Springs, California, USA, which has just gone up for sale. Yes, you can own it. Just as long as you have a similar kind of wealth to Willard Whyte. 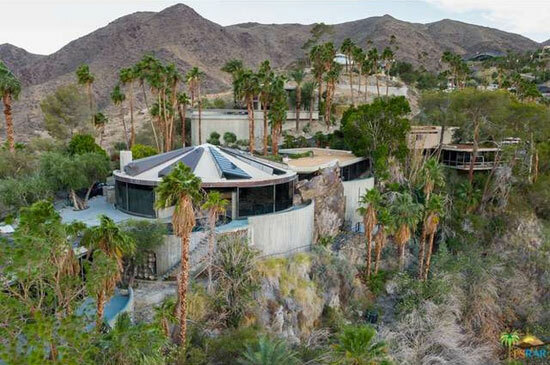 The movie dates back to 1971, with the house a little earlier, dating to 1968 and produced for interior designer Arthur Elrod (hence the name). It has changed little, on the face of it, in almost 50 years. 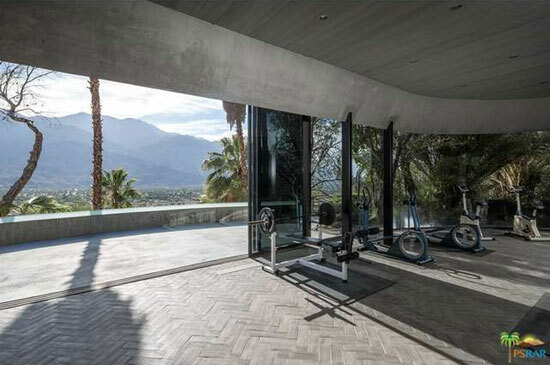 However, that is probably down to past owner Ron Burkle, who updated the mechanics and restored the interior furnishings during his time on the house. He isn’t the current owner. 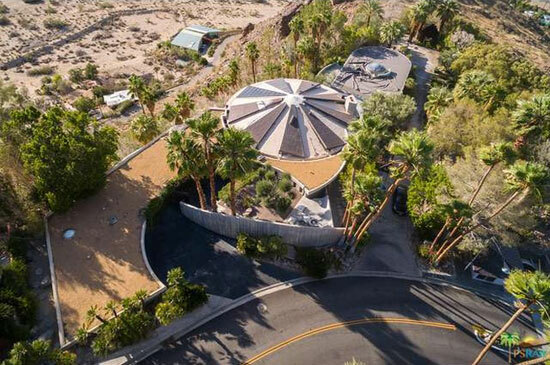 According to Curbed, quoting The Desert Sun, property investor Michael Kilroy is the owner of this house. He bought it off Burkle in 2003 for $5.5 million. 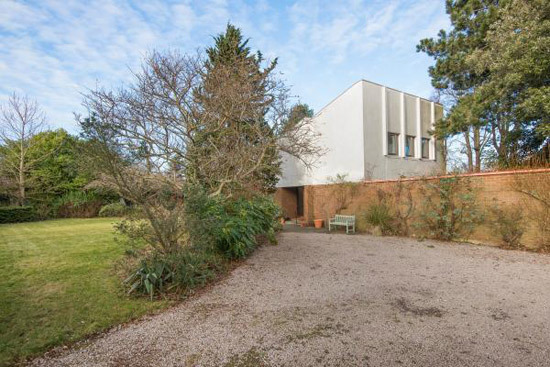 However, due to financial difficulties which led to eventual bankruptcy, he has been forced to sell Elrod House before the end of 2016 to pay off his creditors. Which is why we are talking about it right now. So much to talk about too. 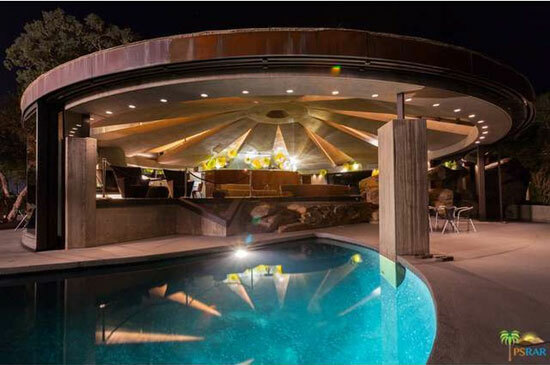 This is certainly a one-of-kind house and a property described as ‘timeless’ by Lautner himself. A 60ft. 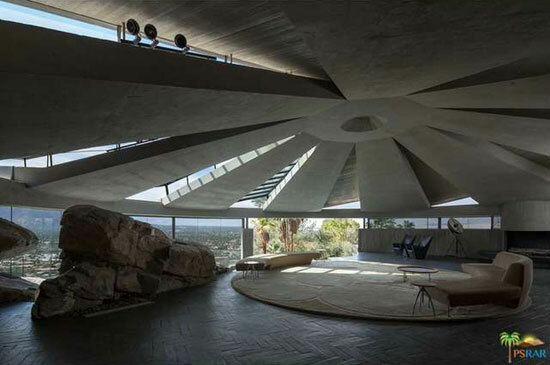 wide circular living room has a conical dome that ‘fans out’ in nine petals between nine clerestories angled up to bring in light. 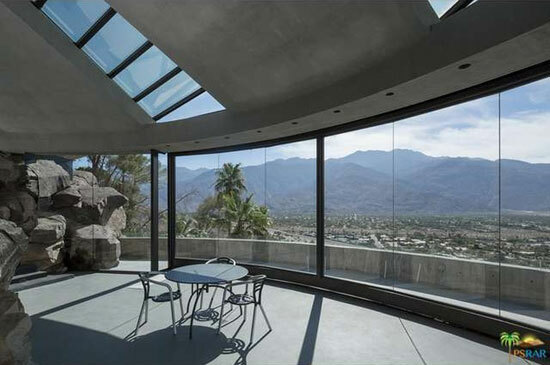 Retractable curved glass walls allow the entire living room and the projecting pool deck to open up, offering ‘panoramic views’ of Mt San Jacinto, Mt San Gorgonio, the valley below and the mountain ranges beyond. 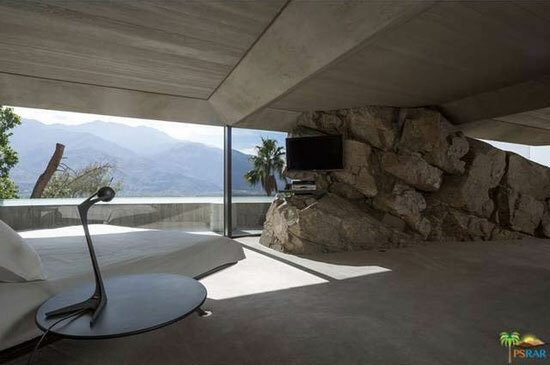 Indeed, the rock of the ridge is incorporated into the architecture itself. 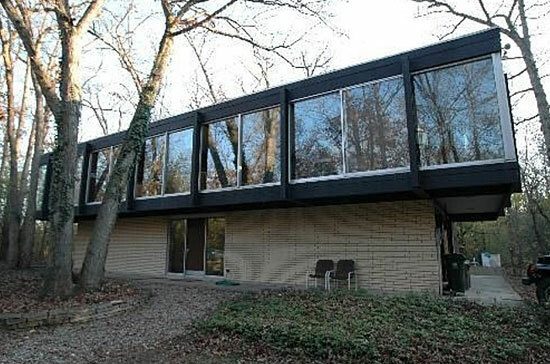 Five bedrooms and five bathrooms too over the 8,901. sq. 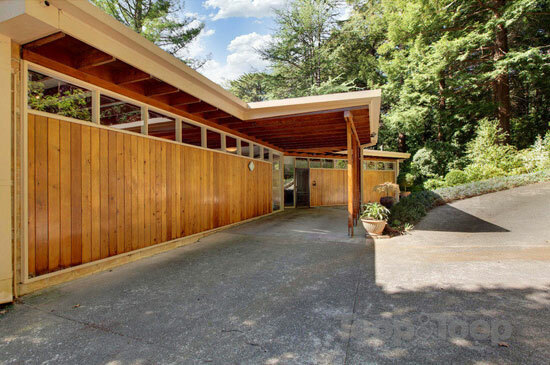 ft. of living space within this iconic build. 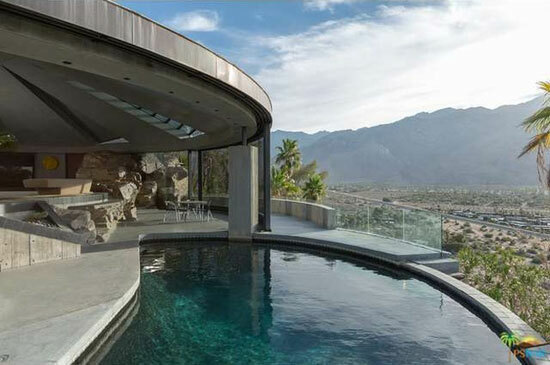 There’s around 1.2 acres of land also at your disposal outside. The images tell it better than we can, so do check those out. If you want it, you will have to find something in the region of $8,000,000. 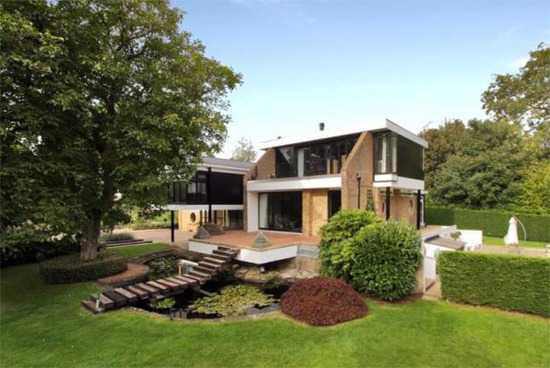 Of course you can check out the house in the Bond movie via YouTube. Details courtesy of Nelson-Moe properties. For more details and to make an enquiry, please visit the website. 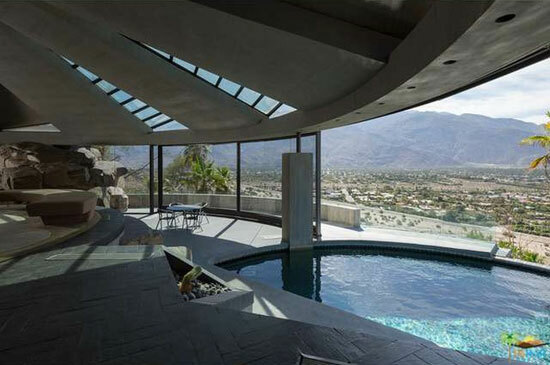 Images via Redfin.